The Mexican charter company whose plane crashed in Cuba on Friday, killing 110 people on board, had received prior safety complaints, two-ex pilots say. One of the pilots described how a plane rented from Damojh airlines had dropped off radar completely some eight years ago. Another alleged poor maintenance. Mexican authorities say they will carry out a safety audit of the company. Three women survived the crash near Havana airport - Cuba's deadliest air disaster in more than 30 years. Separately, it was revealed that 10 priests and their wives were among the crash victims. 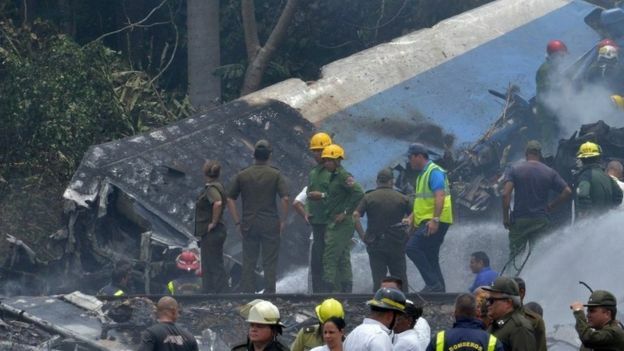 Cuban authorities have launched an investigation into the crash, as rescuers continue to comb through the wreckage site some 20km (12 miles) south of the Cuban capital. One of two "black boxes" that hold key flight data and information about what happened to the plane has been recovered and is said to be in good condition. What were the safety complaints? Allegations of previous safety complaints have emerged against the Mexican-based Damojh company, which leased both the Boeing 737 and its crew to Cuba's flagship state Cubana airline. The head of Guyana's civil aviation body, Cpt Egbert Field, told the Associated Press news agency the same plane - which was nearly 40 years old - had been barred from using Guyanese airspace last year after authorities found its crew were overloading luggage on flights in Cuba. In one instance, the news agency reports, Guyanese authorities had discovered suitcases stored in the plane's toilets. Meanwhile, a retired pilot for Cubana wrote on Facebook that another plane rented by his airline from the same company had briefly dropped off radar for unspecified reasons while over the central Cuban city of Santa Clara in 2010 or 2011. The captain and co-pilot of that flight were later suspended for "problems and serious lack of technical knowledge," said Ovidio Martinez Lopez, who worked for Cubana for more than 40 years. He said "many flight attendants, flight attendants and flight safety personnel" had refused to fly on certain Cubana planes over the years. Another pilot who used to work for Damojh told Mexican newspaper Milenio he had complained about a lack of adequate maintenance of planes. "I experienced several incidents at this company, like engine failure or the electrical system went when we took off from Mexico on one occasion", Marco Aurelio Hernandez was quoted as saying. The company has yet to comment on the allegations. Also among the dead were 10 evangelical priests and their spouses who had been meeting in Havana for several days and were returning to their homes in Holguin province, where the flight was destined to land. "On that plane were 10 couples of pastors. Twenty people. All of the Nazarene Church in the eastern region," confirmed Maite Quesada, a member of the Cuban Council of Churches. The Argentine couple have been named by their government as Dora Beatriz Cifuentes and Oscar Hugo Almaras, both in their 60s. 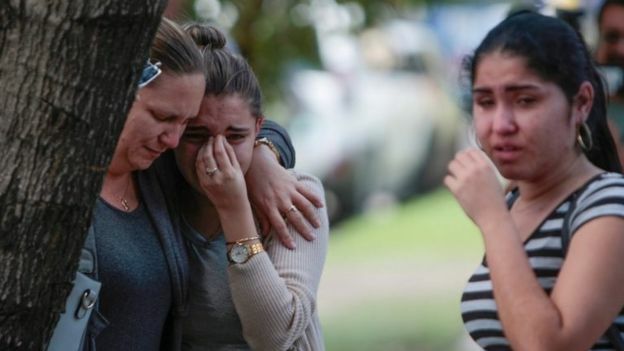 Several victims' relatives have travelled to Havana to help identify the deceased. Meanwhile, the three survivors remain in critical condition with serious burns. "My daughter is a fighter, she's strong, she'll save herself," the mother of a 23-year-old survivor, Amparo Font, told Reuters news agency.